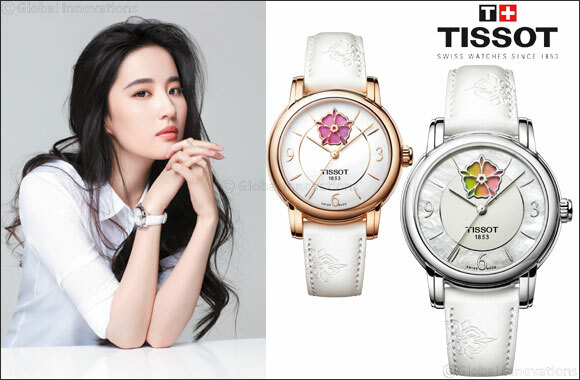 Fashion is what you make of it, and the cool and contemporary Tissot Lady Heart changes its style every day to reflect the fashionable whim of its wearer. Women will love the alluring rainbow on the dial, which comes complete with a disk inside that takes seven days to turn, displaying a different hue every day of the week. Whatever her style, every woman will enjoy ensuring they can always perfectly match their outfit to the vivid shade they sport on their wrist. Heritage is at the heart of this elegant piece, which unites Tissot’s rich history with beautifully feminine detailing. In a stunning centrepiece, the window at twelve o’clock is represented by a flower symbolising the Tissot family crest. This respect for tradition, together with the impressive Powermatic 80 movement at the heart which has an incredible 80 hours power reserve, shows just how highly Tissot values the strength and zest for life that defines women today.